Right now you can take an additional 20% off all outlet items at Olive Juice with the coupon code below. There are some good things hidden in the outlet, though I recommend either sorting by size to reduce the number of pages you have to sift through or sorting by price to see the best deals, or both! 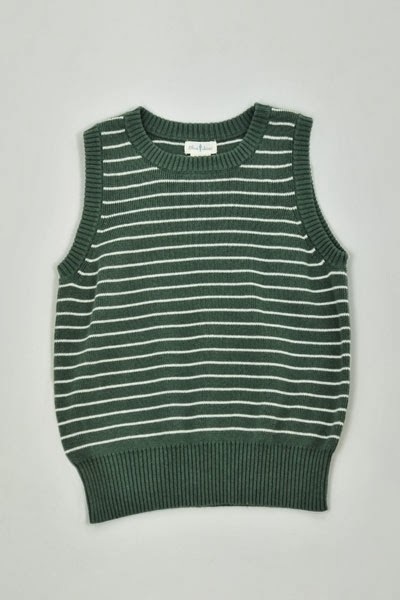 Just to get you excited, the snappy little racing green striped vest above is just $9.40 after the additional 20% discount. Have a look at the knit tops, knit leggings and tights for some especially good deals. Find all of the outlet styles here.